Did you know that every square inch of your skin contains 20 feet of blood vessels? These tiny vessels provide the skin with everything it needs to stay healthy. 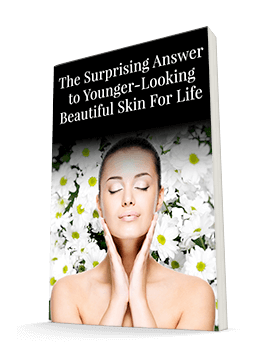 And they give you a major clue about healthy skin. If you want healthy skin, you need healthy blood vessels. One of the best ways to start that chain reaction of health is by ensuring your body has enough nitric oxide. As you may know, nitric oxide is a gas molecule. Our bodies are able to make nitric oxide on their own, but as we age, that process becomes more challenging. That's too bad, because nitric oxide plays a major role in our circulation, neurotransmission, smooth muscle relaxation, and immune response. And according to a review study, it also plays a major role in skin health. Researchers in France investigated just how significant this role is for the skin by reviewing and synthesizing the literature available on the topic. They focused on how nitric oxide affects the skin in general, as well as its role in pathology. They found that healthy levels of nitric oxide help the skin maintain its barrier function, which helps the skin lock in moisture, and make sure that blood flow occurs at the proper rate. However, when the skin is damaged, such as by UV radiation or a wound, nitric oxide kicks into high gear. It helps coordinate cells to respond to the damage. Of course, inflammation is something we want to avoid, but that's because we want to avoid sustaining damage to the skin in the first place. If we do damage our skin, we need to make sure we have the resources available to help it heal. And since we can't completely avoid exposure to UV radiation (though we can certainly minimize it with sun protection), it's important that we have nitric oxide available to jumpstart this healing process. This is true even when your body's ability to produce it has slowed down. Fortunately, it's possible to supplement your body's natural nitric oxide production. One way you can do that is by eating beets, kale, and leafy greens, which are full of nitric oxide. However, it's not always easy to keep up with eating sufficient daily vegetables. That's why many of my patients use CircO2. This nitric oxide supplement does contain beet root powder, but it also contains l-citrulline and hawthorn to support your circulation further. And with 20 feet to get through in just one square inch of skin, your blood has a lot of circulating to do!